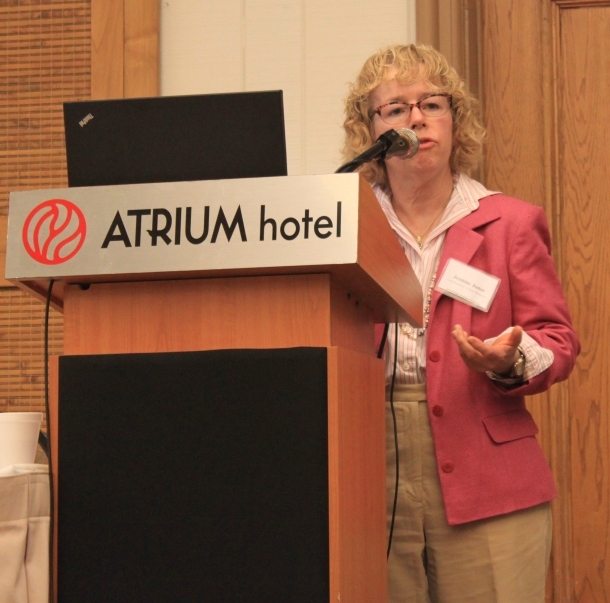 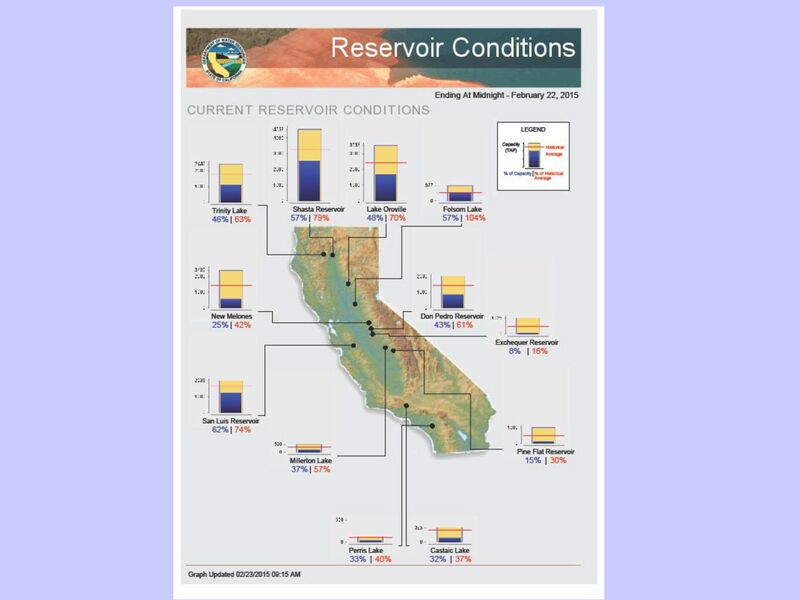 “We are looking at a fourth year of drought,” said Jeanine Jones, the Deputy Drought Manager for the Department of Water Resources as she kicked off the National Water Resources Institute Drought Response Workshop on February 25, 2015 in Irvine. 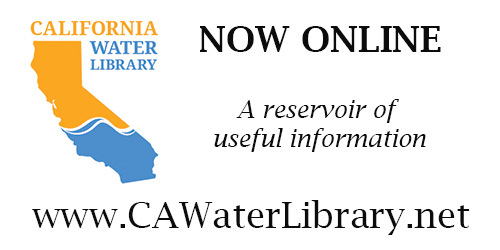 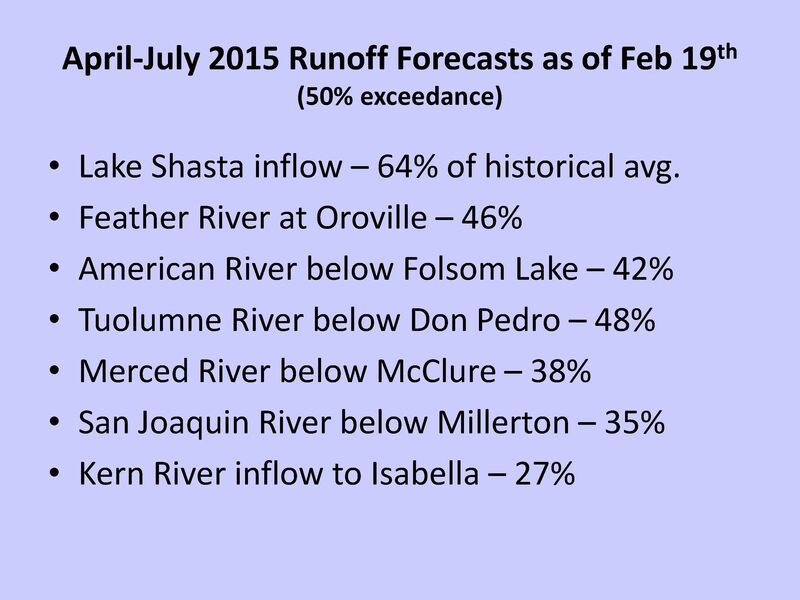 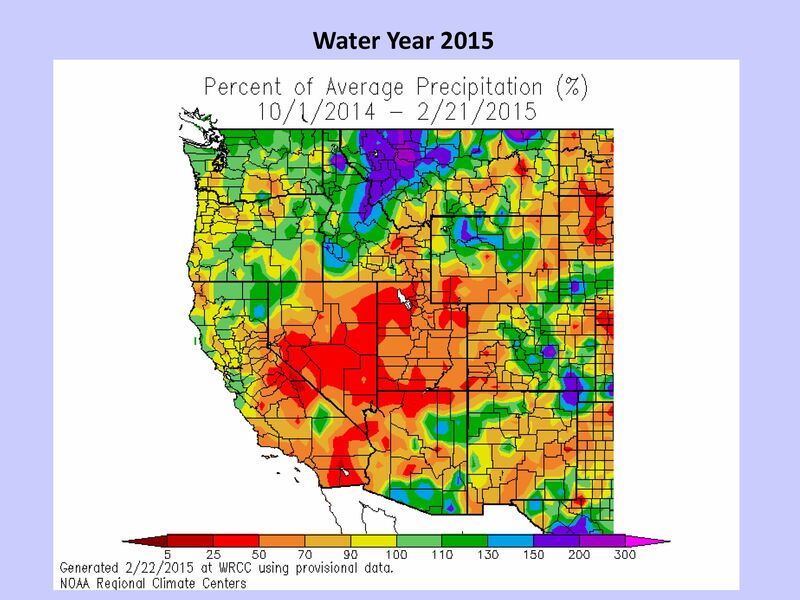 Water year 2014 was the fourth driest year of the hydrologic record. 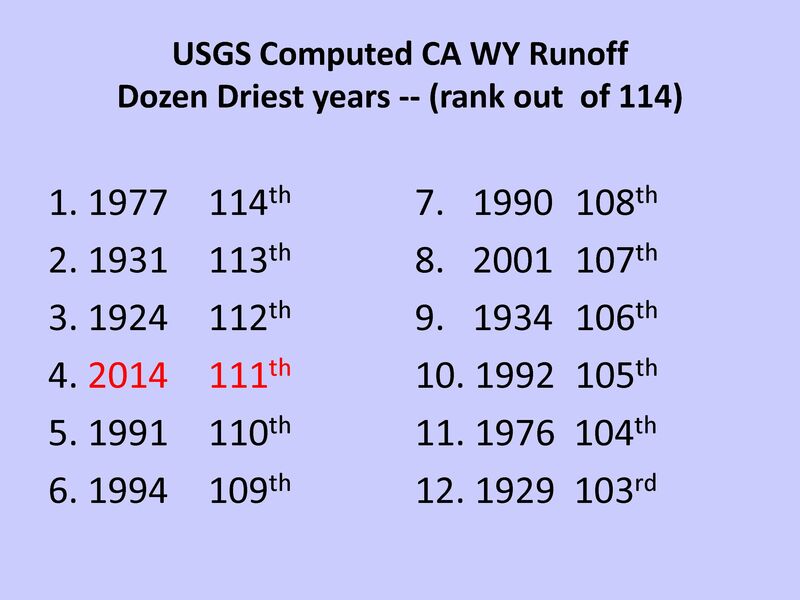 Ms. Jones noted that overall in the historic record, the driest times were the droughts in the 1920s and 1930s. 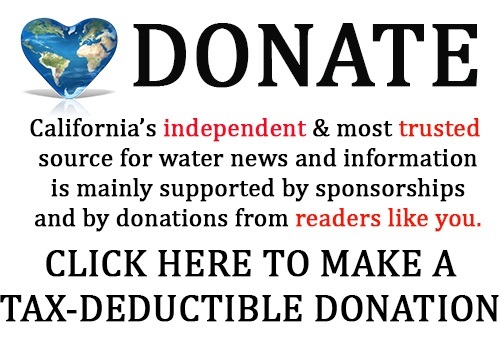 “At that time, California’s population was only 6 million people, so even if you were water short, you didn’t have to spread that water too far to make it go around,” she said. 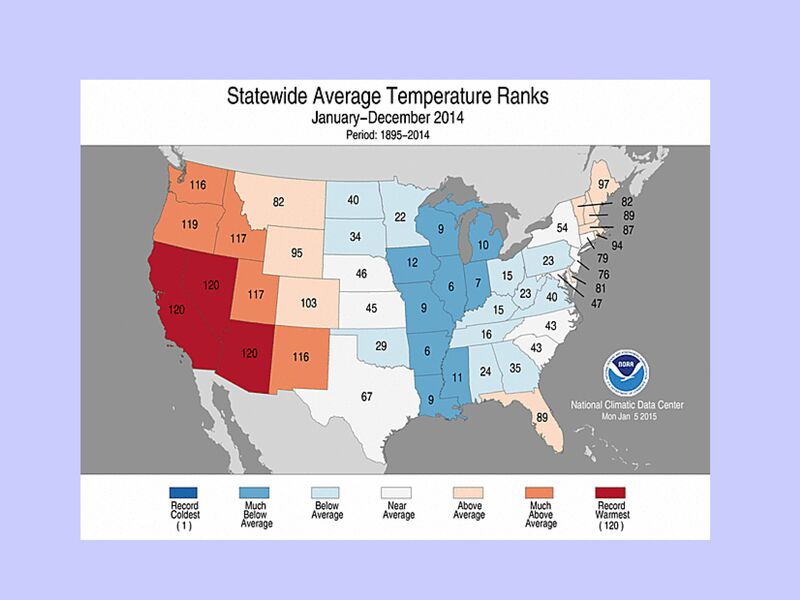 It’s also worth noting that last year was the warmest year out of 120 years on the record, in both California and some of the Colorado River basin states, which are also important for our water supply, she said. 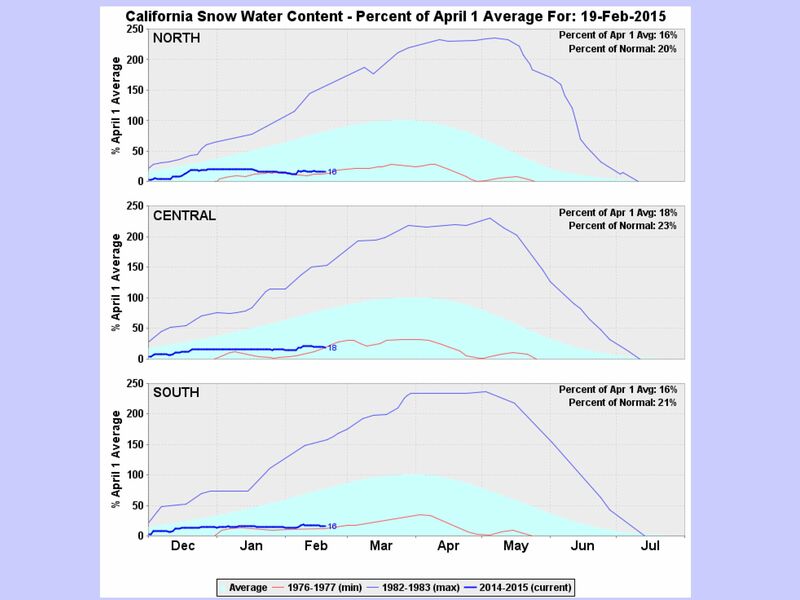 “Warm temperatures tend to increase water use, all things being equal, and frankly they are not at all good for snowpack. 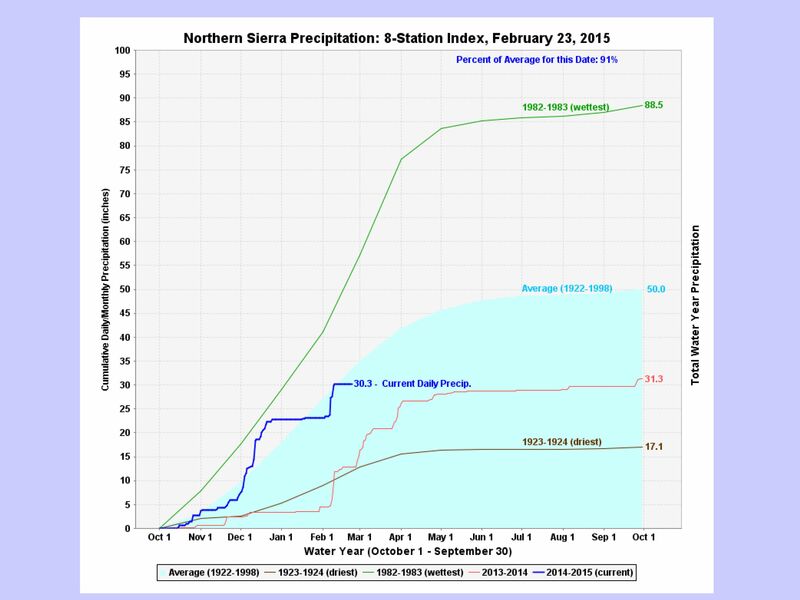 Snowpack is very important to us, and our snowpack is continually to be challenged by record warmth that we’ve been experiencing so far in 2015 in the Sierra Nevada,” she said. 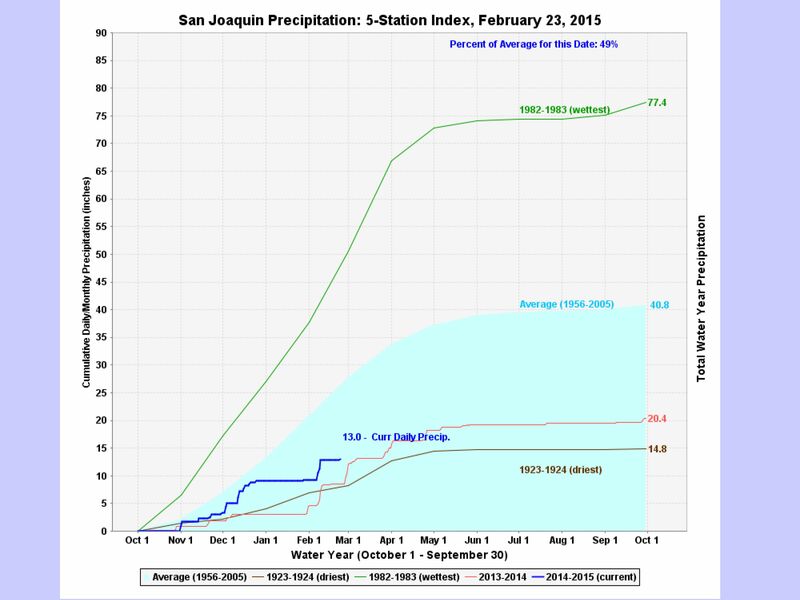 She then presented a slide of the San Joaquin 5-station index for the southern half of the Central Valley. 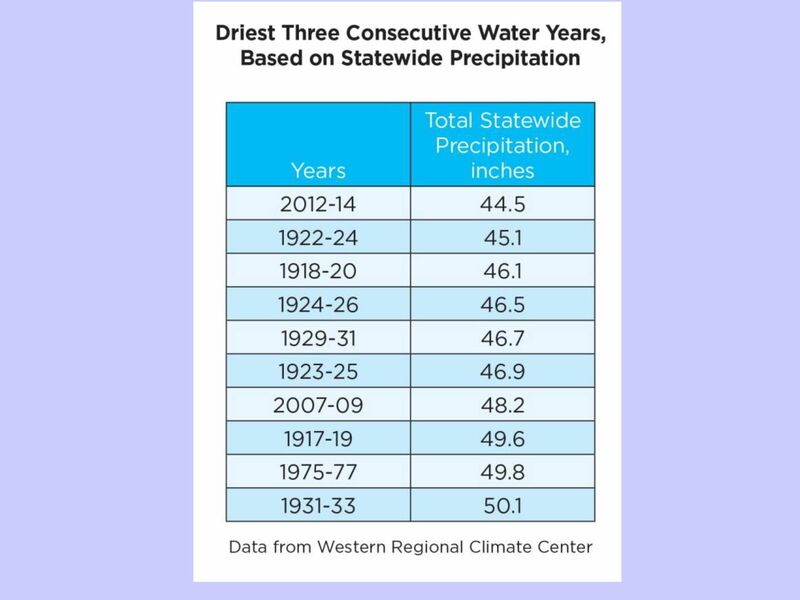 “We’re about half of average there because they didn’t benefit from those big winter storms,” she said. 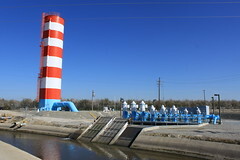 At the present time, the State Water Project has a 15% allocation, which is better than last year’s 5% allocation, and the Central Valley Project will be announcing shortly, she said. 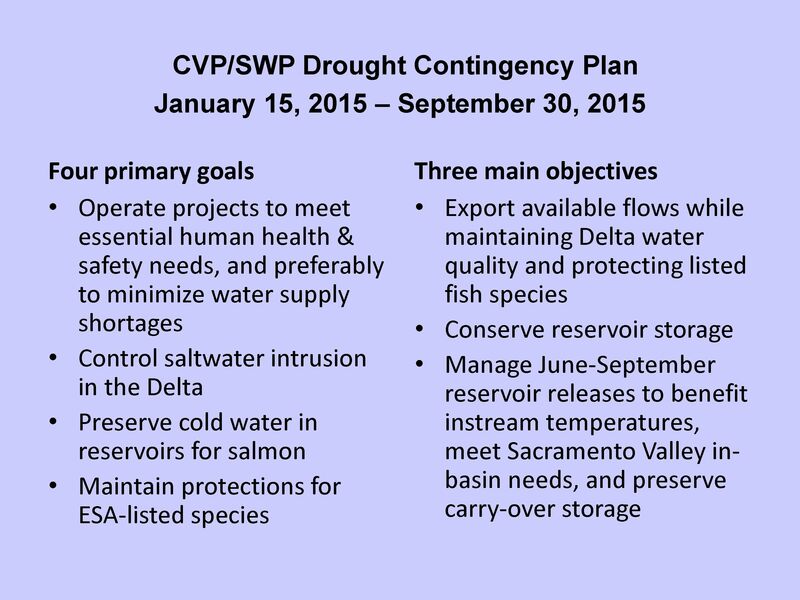 (Note: this presentation was given the day before CVP allocation announcement.) 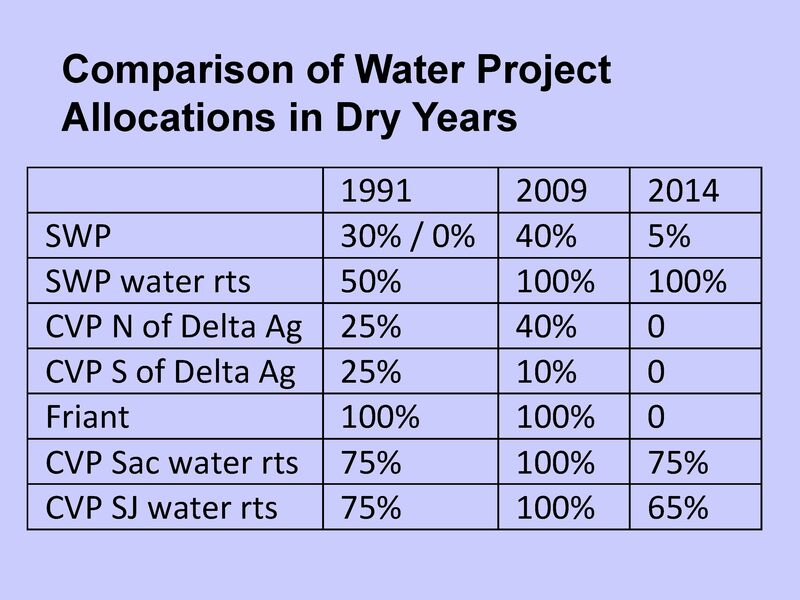 “The good news is the Colorado River, which has a full apportionment thanks to the fact that we have lots of storage capacity on the Colorado River so even though the reservoir system storage is only half full, or half empty so to speak, that still provides us a full supply, even though the Colorado has been in drought for more than a decade,” she said. 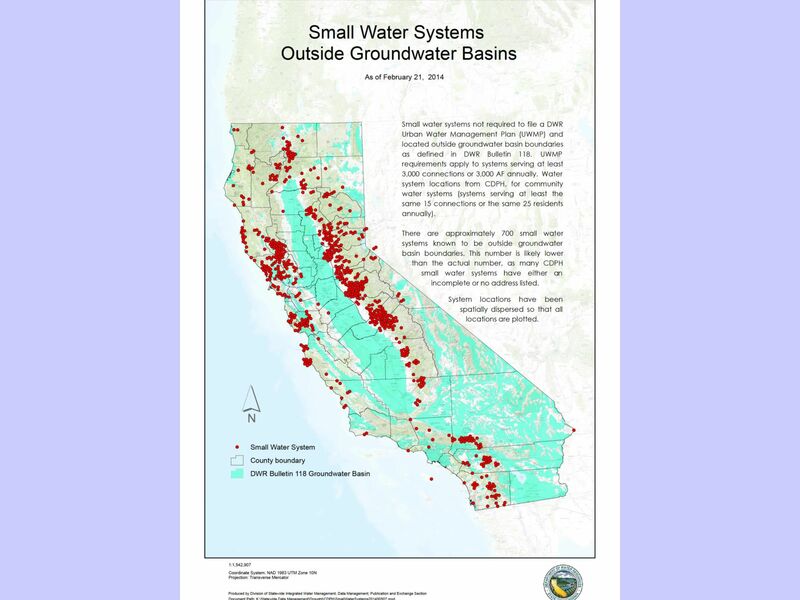 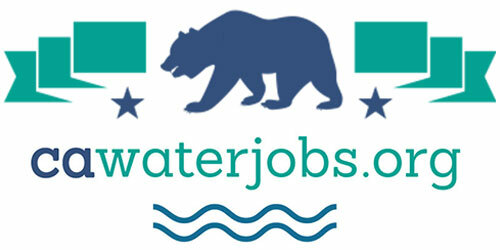 “We’re improving the monitoring of groundwater levels to enable better statewide picture of what our drought conditions are like, and we’re monitoring other kinds of impacts to such as extended ag land being fallowed in the Central Valley and the increasing land subsidence in areas where it can affect either water project or flood control infrastructure,” she said.